Handlebar, Daytona Style, Chrome. 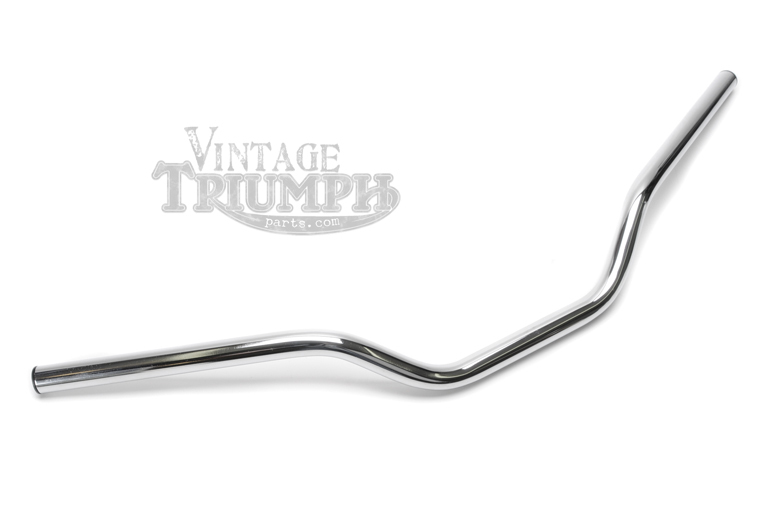 Handlebars with Medium Rise Bar With Similer To Stock Bend. Fits All Triumph Models With 7/8" Mounting Hardware. 29.2" Width, 5.36" Rise, 3" Pullback & 4.4" Accross Center.